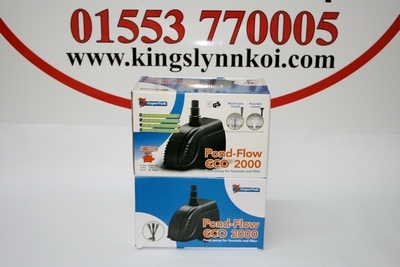 Energy saving, multi purpose pond pump suitable for use as a fountain of filter pump. Available in 3 sizes (1000 L/h, 2000 L/h, 2900 L/h). Includes 2 different spray heads: a fountain nozzle and a mushroom nozzle, which are easily ajustable in height. 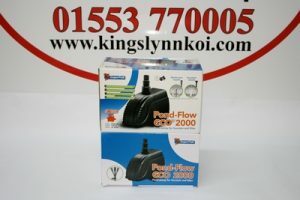 Supplied with a 10 metre power cable. Energy efficient and economical to run. 2 year warranty and GS approval for quality and safety.